Also, ideal for motorcyclists and general outdoor wear, or those who just wish to keep their legs warm. I bought these to wear with my new Dublin boots as they were not quite as chunky as the Cumbria socks I had for wearing with walking boots. I wasn’t sure if they would keep me as warm but I needn’t have worried as my feet stay lovely and toasty in the coldest weather, and whatever surface I am standing on. They wash well on a 30 degree wash (not too often ‘tho as they don’t smell). Love them. 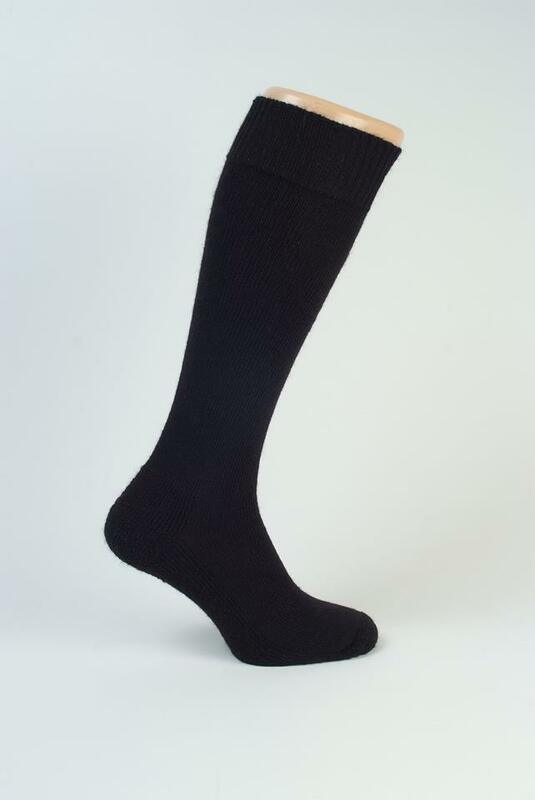 Having exclusively worn Capricorn socks for many years now and usually favouring the Yorkshire wellie sock for summer or winter loving its comfort and fit I thought I would treat myself to a long hose in preparation for winter. Being, as I am, blessed with a well developed calf, knee length socks can often be too restrictive or else end up half way down my boot. The Leicestershire Equestrian has perfect blend of fibres ..it fits snugly and strays put all day with all the comfort I have come to rely on from Capricorn Mohair socks . I must confess that you won’t catch me anywhere near a horse – these socks were bought as long ” gentleman’s socks” for the winter ! The older I get the more I appreciate a wee bit extra draught proofing above the ankles. I have been wearing Capricorn socks all year round for years and years ( maybe on the rare occasions we get a bit of summer I switch to cotton for coolness ) and these socks are consistent with the expected quality. I wash on wool cycle at 30deg and I am confident they will last me 3 or 4 winters at least. I have only ever worn through one sock , the others have only been retired when they became too small or shapeless. Great Value ! These are fantastic socks – I have been wearing them for about 15 years now – all through the winter. They stay up, are warm, never smell, I wash them with all my other clothes – just don’t put in the drier. If you purchase the darker colours they can be worn under jeans and show very discreetly which I like. I would like to buy some black or navy blue but out of stock at present.